Are All Wooden Dog Houses the Same? We are craftsmen, and we personally sign each house that we produce. Blythe Wood Works is a family-owned and operated business in South Carolina that began in 1990, out of a need for a quality wood dog house that is good for your pet. We were the first wood dog house manufacturer on the internet and our product line of dog houses encompasses options such as upgrade Seal Safe Doors™, insulation, porch and decks, name plates and raised foundations. We started with the Large Cedar Dog House which became so popular that every internet dog house “pirate” on the net attempted to copy and duplicate this unit. Many others have since attempted to duplicate what we have designed and initiated, but we simply take it as a compliment...and we get many compliments. Blythe Wood Works is a Christian-based business. Christian values, such as integrity of the product and dealings, respect, hard work, and service are our goals and we think these Biblical principles benefit our customers. We believe our success stems from our commitment to our customers and their pets. We build an excellent product and know that our success is because of our faith and the blessings of God. 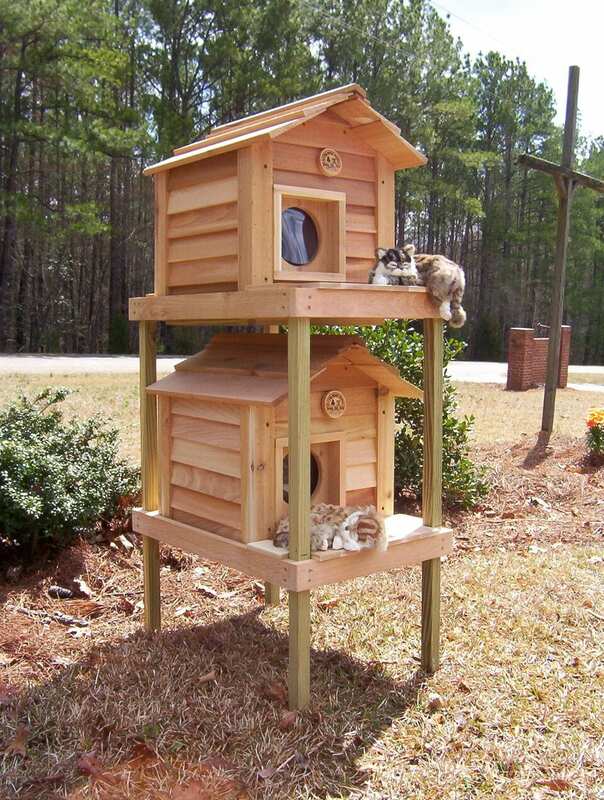 Thank you for your time to look at our products and possibly the purchase of one of our dog houses and options. We promise to serve you as if you were our only customer.